CLOSEOUTS . 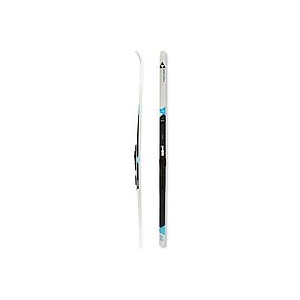 Lightweight and easy to maneuver, Alpina Control 64 W touring Nordic skis offer excellent stability for recreational skiers who tackle groomed tracks and occasionally head off-trail. Available Colors: SEE PHOTO. Kick and glide your way into the quiet, snowy aspen grove while you stay stable and under control on the Alpina Control LW Cross Country Touring Ski. 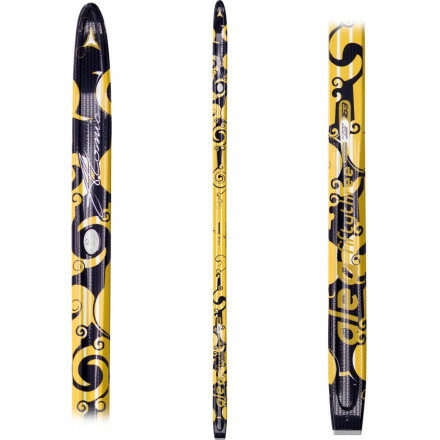 Designed for women out of reusable and renewable resources, this Nordic touring ski's soft flex and large kick zone helps you easily get into rhythmic strides. The Control LW glides over the trail thanks to the Posi-grip base, which doesn't need wax and grabs the snow so you can keep up your blissful pace. 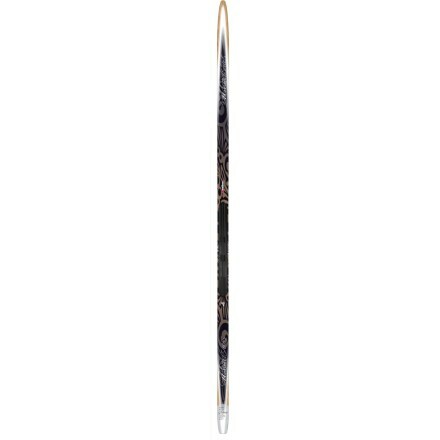 A wood core and Scuff Tuff top deck add durability and a little confidence when you dare to wonder off the trail and over gentle snow-covered hills. 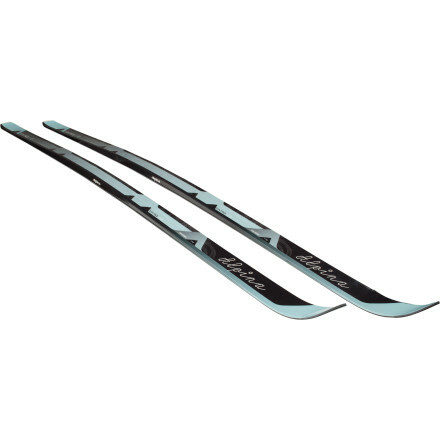 Offering great stability, the Alpina Control LW cross-country skis are ideal for recreational touring at your local Nordic center and trips out of the tracks on logging roads. 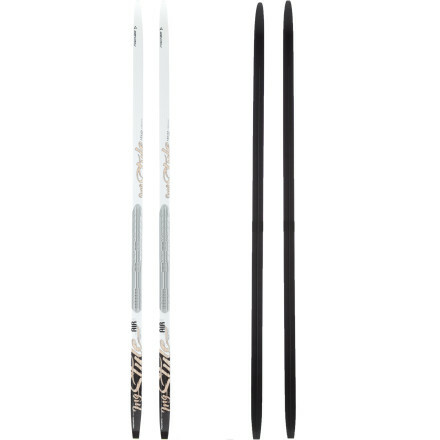 Available in shorter-than-traditional lengths and featuring 53mm waists, the Alpina Control skis are sturdy, stable and great for in- and out-of-track skiing. Waxless Posi-Grip bases feature raised traction patterns, as opposed to a pattern that is cut into the base, that provides exceptional traction for striding uphill. Wood cores with cap construction create a smooth, dependable flex. 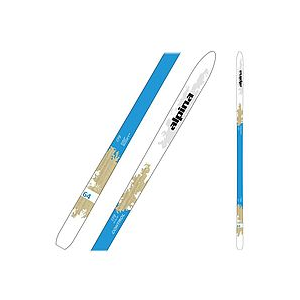 Scuff-Tuff plastic material is molded on top of the skis to increase durability and keep snow from collecting.